Resource > Video > How to Convert YouTube Video to MP3, Online or Software? Summary: Need any YouTube to MP3 converter to extract MP3 from your favorite YouTube videos? Online and desktop programs provide different solutions. 1. Chapter One - Why to convert YouTube to MP3? Music warms our life. Every song tells a story. Type “Look What You Made Me Do” in Google, and you will see the first search result page is a music video from YouTube with an extraordinary views, exceeding 1 billion. This song is recorded by a brilliant singer-songwriter Taylor Swift, released in 2017 as the lead single from her 6th album Reputation. “Look What You Made Me Do” is about struggle against the past rough and glossy times Taylor had gone through and her critical attitude towards those times. In the end, Taylor is standing up and defending herself even if it means that she has to stand alone against the world just as the lyric says “I’m sorry the old Taylor can’t come to the phone right now - Why - Oh ‘cause she’s dead”. It’s about recreating yourself and becoming who you really want to be even after the darkest moments. It’s the song to listen to when you are in dark days. It’s not hard to find out that you can only watch MV on YouTube and there’s no MP3 track to play. Even on Spotify and other music and podcast streaming platforms, MP3 audio track for “Look What You Made Me Do” can’t play. Of course, it can play if you subscribe a membership. A question arises whether it is possible to extract MP3 from YouTube MV and how. The answer is yes and the details will be shown in Chapter Two. “Baby I’m dancing in the dark with you between my arms” spiraling in the air, the lovely song dances out of an official MV for a single “Perfect” posted by Ed Sheeran on YouTube in 2017. Avril Lavigne said on releasing "Head Above Water" as lead single in September 2018, in which Avril shouts out “I’m too young to fall asleep”. In 2015, Avril told to a magazine that she had been diagnosed with Lyme disease. On May 17, 2018, YouTube announced a new version of the YouTube Music service, including a desktop product and redesigned mobile app, providing all sorts of official albums, playlists, singles, music videos and more. It’s a must to subscribe Music Premium membership if you prefer an ad-free and background streaming and downloading for offline playback. It’s a monthly subscription. You may ask whether there is a way to download music from YouTube to desktop or portable devices or how to download YouTube Music to MP3 to enjoy anytime and anywhere without subscription. The answer is yes and the detailed information will be described in Chapter Two. Musical instrument often creates magic moments when you are fully diving in your own feeling alongside each musical notation. Uncountable creators around the world update their original music videos on YouTube to show their feeling and attitude to the world they sometimes like or sometimes hate. Viewers are looking for emotional connection with them to find a place and period that is able to calm them down or pour out their deep feelings. Then it’s possible to think of using self musical instrument to play the impressing one. “No instrument is easier than another, any instrument takes a lifetime to master”. That is what we are often told. You are able to play 10 popular songs in the first month if you can bear your finger hurt. If that is true to you, guitar is your cake. The piano, similar to guitar, is mechanically easier to play than the violin. To play a piano, you can get the right note when you hit the right key. With the violin, it requires a blend of muscle memory to get the right spot on the fingerboard and ear to make a quick correction if you are off a wee bit. Of course, your preference holds the final decision. Type “violin” and search. Find the music video you prefer, and play one time, two times, three ... Open YouTube App on mobile phone, the searched video keeps playing given the mobile screen keeps bright and click the PLAY button each time. You may ask whether there is a means to convert YouTube video to MP3 to play freely on potable devices. The answer is yes and details lie in Chapter Two. 1.4. Why to choose MP3 format? MP3 support remains almost universal, including all popular media players, portable media players, smartphones and tablets. What’s MP3? MP3 is a coding format for digital audio. MP3 uses lossy data-compression to encode data, a technology method applying inexact approximations and partial discarding of data. This allows a large reduction in file sizes when compared with original audios. Small size and acceptable fidelity have given rise to several booms in the distribution of music over the internet. How MP3 compression works? It works by reducing the accuracy of certain components of sound that are considered to be hard to distinguish by most humans. The remaining audio information is then recorded according to different file sizes. What’s the relationship between the amount of data and the sound quality? When creating an MP3 data stream, there is a balance to be decided between the amount of data to be generated and the sound quality of the results. The person producing an MP3 selects a bit rate, which sets how many Kbits per second of audio is desired. The higher the bit rate is, the larger the MP3 data stream will be, and, generally, the closer it will sound to the original recording. With a too low bit rate, the resulting sounds won’t be quite true to the original recording. How does encoder affect the quality of MP3 audio? Besides the bit rate of an encoded piece of audio, the quality of MP3 audio also depends on the quality of encoder algorithm as well as the complexity of the signal being encoded. As the MP3 standard allows quite a bit of freedom with encoding algorithms, different encoders do feature quite different quality, even with identical bit rates. Quality is dependent on the choice of encoder and encoding parameters. What else can affect the quality of MP3 audio? Perceived quality can be affected by listening environment, listener’s attention, and in most cases by listener’s audio equipment (such as speakers and headphones). Therefore, MP3 format is one of best choices for audio track to be extracted from YouTube videos or downloaded from YouTube playlist and albums. Let’s dive into the following part, Chapter Two: How to convert YouTube files to MP3? 2. Chapter Two - How to convert YouTube to MP3? This Chapter intends to give you a detail description of the tools to convert YouTube to MP3. Those tools are divided into three categories: online converter, desktop software and mobile app. The following will go on from the similarity and difference among these three categories. The similarity is described as follows. A music buff who is crazy about YouTube original songs may need an online tool to download them to his/her portable devices to play back anytime and anywhere. If free of charge to use, it would be even better. Those online YouTube video to MP3 converters are generally free of charge. A buff is someone who has a strong, special interest in something. Someone who loves R&B music is a R&B buff. Someone who is deeply interested in cartoon is a cartoon buff. YouTube MP3 converter online often analyzes links or URLs of videos and audios from different source websites to extract data you desire to output in different formats, for example, YouTube link to MP3. URL, also known as a Uniform Resource Locator or web address, is the address of a resource on the Internet. A URL indicates the location of a resource as well as the protocol used to access it. Each online converter tool is capable to support no less than two popular audiovisual formats, MP3 & MP4, for example. As discussed above, MP3 support remains near-universal, including almost all media players, portable media players, smartphones and tablets. If you intend to keep music with smaller file size, use YouTube Video Converter to MP3 music. If you have sufficient space on your devices, you can try MP4 because you can not only enjoy music, but also watch videos. The remaining needs can be met, with other supported formats MKV, WMV, AVI, FLV, etc. Each of them provides an acceptable converting speed. It’s impossible to always retain the same converting speed, as fast as several seconds, for example. It varies according to the length of files you are to download. To be specific, when changing YouTube to MP3, it takes a minute, more or less, to detect a four-minute music video link. The additional delay might or might not be needed, depending on your network speed and whether your internet connection is stable. Besides, different formats or resolutions you choose to download will also affect the time you spend. The time to download a 2160P video is definitely longer than a 720P video. How to download YouTube videos to MP3? An exchange may come up between Step 2 and Step 3 for some free YouTube to MP3 Converters. Such friendly operation steps make it easy to turn to another one when the format or resolution you desire isn’t supported. There exists no apparent difference in quality to output unless you are an audiophile or videophile who may find slight distinction among them. If you judge the quality by definition, some online YouTube MP3 converters stand out from a crowd that support to choose different resolutions for each format. It doesn’t matter which website you choose to use. You can save the output to any dictionary you want. It doesn’t matter which format you pick. You can save the output to any dictionary you want. It doesn’t matter which resolution you select. You can save the output to any dictionary you want. It doesn’t matter which device is handy. You can save the output to any dictionary you want. The difference of online converters is described as follows. Focus on just one thing at a time, which is a shortest way to arrive at a destination and then keep going. YouTuFab is presently targeted to extract audios and videos from YouTube files. It means now this website focuses on providing tailored solutions for YouTube fans. Plant seeds in several places in the meantime, a colorful world waiting in a day which is not too long to come. Many websites intend to provide a key to users who need to open a door behind which crowd all sorts of audios and videos. You may count, a digital music service - Spotify, a social media giant - Facebook, a movies & TV shows provider - Netflix and other popular platforms. I have tested many websites in a row of Google search result pages and find a common problem. Although plenty of formats are listed clearly in a drop-down menu, this isn’t the essential and necessary condition enabling you to finish the last step of conversion to those formats. Maybe You will be shown in the last step a cool sentence: An error has occurred. Please try again. Eh... The best way to judge which formats online converters support is to try, and try again. Not all online converters provide different resolutions for users to choose. YouTuFab is an exception. Although, at present, it doesn’t provide so many formats to convert, varied resolutions are still provided for each supported format to meet users’ needs to enjoy different watching and listening experience. Please be informed that the higher the resolution you choose, the larger the file size is to output. It’s disturbing to find, at the key step or the final step, you are shown a picture or sentence expressing you need to load some tool in order to finish your conversion process. YouTuFab is independently developed and updated to convert YouTube to MP3 without any java, any 3rd party plugin, or extension. It’s definitely true that no software needs to be installed during the whole process of converting YouTube to MP3 online. This part talks about the ranking of online converter websites. To make the ranking specific and measurable, a test was conducted. The first part describes the test items and test contents. The second part describes the test results. This test fixes the test source website as YouTube, and the input source as the links mentioned in Chapter One, and mark them as Link 1 - Look What You Made Me Do (duration: 4:15 ), Link 2 - Perfect (duration: 4:39), and Link 3 - a violin music (duration: 19:14). The ranking factor contains detection time (Factor 1), loading time (Factor 2), resolution choice (Factor 3), saving time (Factor 4), and any Ad, plugin, third party involved (Factor 5). The action we tested is to convert YouTube videos to MP3. The detailed test items are described in Table 1. Factor 1: Detection time - how long will the converter finish the link analysis? Factor 2: Loading time - how long will the converter finish loading the file? Factor 3: Resolution number- How many resolution will the converter provide? Factor 4: Saving time - How long will the converter need to save the output file? Factor 5: Any ad, plugin, third party involved - yes or no? After dozens of tests, two groups are picked out: the first group contains three online converters: Y2mate.com, YTMP3 and YouTubNow, all of which provide MP3 format, different resolutions and in which the whole downloading and converting process can go through. The second group contains: tube2mp3.com and YouTuFab. tube2mp3.com doesn’t offer resolution choice, but offers fast conversion speed. YouTuFab doesn’t provide competitive conversion speed but provides different resolutions and stays free of ad, plugin, third party. The test data for above-mentioned five websites are listed below. Here only lists the test data for Link 1. Any ad, plugin, third party involved? In conclusion, Y2mate.com, YTMP3 and YouTubNow are ranked Top three among dozens of YouTube to MP3 online converters. Compared with online converter website, the desktop converter program is more stable and updated continually, which makes sense to some extent. In order to give you a clear picture how to classify those programs, we invite a monkey called Tom to tell a story. In a colorful village lives a monkey. Villages call him Tom. When he was a child, he had a dream of sailing across an ocean. Tom said it’s a small dream, with a smile from ear to ear. He told himself the first step was to earn enough money to buy a sturdy sail from a famous brand whose boss used to be a veteran sailor. Now, we arrange two roads for Tom. Years later, Tom was 20 years old. One of his kind relatives gave him a sail as a birthday gift. He was so pleased to accept the gift and devoted himself in practicing day and night. This gift equals to a category of free desktop YouTube to MP3 converters, single requirement-oriented and without payment. Turn to the second road. Years later, Tom was 20 years old. He was surprised to find the amount was sufficient to buy a sail from that veteran sailor. He bought it and then devoted himself in practicing day and night. The sail of this time represents a category of paid desktop YouTube to MP3 converters, single requirement-oriented and with a payment. Before starting off, Tom should equip the beautiful sail with an alternative engine, life raft, water, food and other necessities to meet his different needs. Video converters intend to provide solutions to convert videos to a variety of formats. The source is a real video not a URL. In general, the loading speed and converting speed of desktop program is faster than online converter tool. If you want to convert YouTube to MP3, you need to download YouTube videos and then drag the source to the video converter before starting conversion. This kind of products is multiple requirements-oriented and needs to be paid. On a sunny day, Tom wore a handsome sailing suite and set out to realize his small dream. On the sailing road, he was preparing to fight against storms, hurricanes, pirates and fear of the dark night. Tom became much stronger and tougher. The same case occurs to YouTube to MP3 converters and video converters, amongst which a difference in performance will be come out after continuous tech upgrading and individual solution to various requirements. For instance, DVDFab YouTube to MP3 is a well-designed tool to assist you to download a YouTube playlist with a VIP download speed. A month later, Tom returned to the colorful village, villagers crowding on the wharf and greeting him warmly. 2) Source websites: YouTube, Facebook, SoundCloud, Vimeo, Dailymotion, etc. To be specific, take DVDFab YouTube to MP3 as an example to show you how this program converts YouTube to MP3. DVDFab YouTube to MP3 aims to convert YouTube videos to MP3s that can be played on any portable, mobile and even wearable devices anytime and anywhere. Open and run DVDFab 11, go to “Utilities” and click “YouTube to MP3” to load this module. A page pops up after loading finishes. That is YouTube to MP3 program. At the bottom of YouTube to MP3 page, click the “Folder” icon to choose a dictionary to save the MP3 audio tracks to be output. Why to select a folder to save so early? That’s because this arrangement intends to prevent you from being lost to find where you have saved the output after conversion finishes. Open YouTube website, select the full link or URL of your favorite video, and click “COPY”. Then return to YouTube to MP3 module, directly click “Paste URL” on the top left corner of the main interface. The program will load the copied URL automatically and begin to analyze it then. You are allowed to paste as many as URLs of single videos one by one through repeating the copy-paste step, so that all of them can be analyzed one after another without waiting time. When it comes to an URL being an entire playlist that contains dozens of songs, this program still works. After pasting the URL, you will be shown an option to download and convert all the videos under that playlist or the current clip. When downloading and converting, the metadata information of YouTube files, such as the cover art, artist and title, will be also downloaded. DVDFab YouTube to MP3 program has two versions, a free one and a pro one. For the free version, only one downloading task can be processed, with others waiting in the queue. For the Pro version, the multi-thread download feature enables you to download several tasks simultaneously, with an upper limit of 5 threads. Click “Finished” button on the top right corner of the main interface and you will find all MP3 files you have downloaded are displayed here. Click the “Folder” icon to open the dictionary you have selected in Step 2. DVDFab YouTube to MP3 program is a handy but powerful software that helps you extract MP3 audio tracks from YouTube billions of videos and audios. Have you remembered the sentence: focus on just one thing at a time, which is a shortest way to arrive at a destination and then keep going? This software is another case. Besides, This program can also auto-download new updated music from your subscribed YouTube Channels. Please refer to DVDFab YouTube to MP3 for more detailed information. And click here to download this program to have a free try. 2.3. Is it legal to use YouTube to MP3 Converter? YouTube to MP3 converters are merely technology, and technology is neutral itself in law; It’s what people do with that technology that makes it legal or illegal. It’s not illegal to download a movie or a song; it’s illegal to upload it to become a publicly-available file without permission of copyright owners. You may find that people get sued for spreading unauthorized works to others or reselling them to make a profit, but are never sued for downloading. They are sued for sharing. Therefore, the illegal cases may hide in how you do with the files that you have downloaded from YouTube with YouTube to MP3 converters. After you finish downloading a MP3 audio track, you keep it personally, then it should be safe for you, but not if you share it with someone else, even for free. You don’t own the original contents, therefore, you have no right to redistribute to anyone, unless you are permitted. 3. Chapter Three - Where to find and how to download those online and desktop YouTube to MP3 products? Online YouTube to MP3 converters are more suitable for occasional use to convert YouTube videos to MP3s for offline enjoyment. Desktop YouTube to MP3 programs offers better speeds and the ability to convert even a playlist at a time, so if you regularly convert YouTube videos to MP3 or convert a large number of YouTube videos at once, desktop YouTube to MP3 converters are the best option. Do you encounter such a moment when you constantly search for a YouTube video that impressed you several days ago but you have little detailed info about this video? You’d better download the impressed YouTube video for offline viewing. YouTuFab can help you download YouTube movies, TV shows, sports games online to MP3 to play back on your target devices. 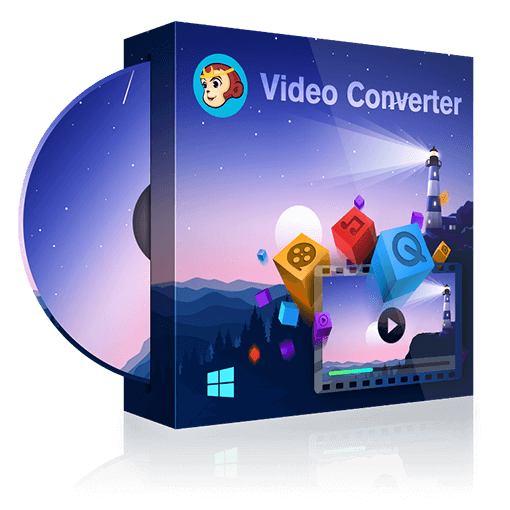 Free of charge and easy to use, this converter delivers a faster conversion speed, prepares different resolutions for each supported format and outputs high quality. It’s a little disappointed to find that playback will interrupt if the YouTube App is not in the front of and the center of the screen and if YouTube website has played the files to the end. Even you have subscribed YouTube premium service, you are also unable to transfer the downloaded files directly to other target devices. DVDFab YouTube to MP3 converter can help you convert YouTube files to local MP3s. This program can not only download and convert an entire playlist at a time, but also auto-download new updated music from subscribed YouTube Channels. Technology goes beyond your imagination. Virtually everything of interest on YouTube is copyrighted content, although creators edit content in many unimaginable ways to deceive YouTube into thinking it is original. For a long time, YouTube turns a blind eye to contents uploaded for public viewing without permission from copyright owners while announces an official hard-position on copyright. That’s easier said than done. The reality may be 90% of the content on this video-sharing platform is clearly copyrighted and clearly used without permission. It seams they make no practical effort to evaluate whether the uploaded content is original, duplicate or fair use. The duplicate content stays up until the copyright owner complains. Then, it is removed. By YouTube's own rules, YouTube cannot exist. And yet it does. Over years, YouTube has been suffering from lawsuits and disputes regarding its too small number of actions and measures taken to prevent the uploading of copyrighted material. It seams YouTube repairs its image to some extent after Content ID system takes effect. Content ID is a digital fingerprinting system used to identify and manage copyrighted content on YouTube. This system creates an ID File for copyrighted audio and video material and stores it in a database. When you upload a video to YouTube, it will be compared against the database, looking for any matches. When this occurs, the content owner can choose to block the video to make it unviewable, tracking the viewing statistics of the video, or adding ads to the infringing video and the ads money automatically going to the content owner. Please note YouTube isn’t able to mediate rights ownership disputes. The platform only do remove the content as required by the law when receiving a complete and valid takedown notice. It’s up to the parties involved to resolve the issue. On the other hand, It is frustrating to come upon that your content is uploaded to other channels without your permission and it’s time-consuming to manually search for these re-uploads. On July 11, 2018, YouTube announces to introduce a new Copyright Match tool to help creators sniff out re-uploads of their contents on other channels. To start with, the tool will be made available to creators with a large number of subscribers (over 100,000). Here’s how it works: when creators upload an original video to YouTube, the tool will begin scanning all the videos that are uploaded after it to find any are identical or nearly identical and surface them to you for review. Cases are included where the audio may be replaced or dubbed. Please make sure you are the first to upload the content to YouTube as a public video, as the time of upload is the deciding factor YouTube use to judge who should see match results. Those match results will appear under a match tab, and creators are provided three choice: neglect and take no action, contact the creators who uploaded the duplicate videos or use YouTube’s copyright webform to send a video removal request. Before taking action, you’d better carefully evaluate each match to confirm that you own the rights to the matched content and ensure that you believe it infringes on your copyright. You should also consider whether the duplicate is classified to fair use or could be subject to some other exception to copyright and hence not require permission for reuse. Please take note this tool only able to tell who uploaded a video first, not who owns it or has permission to upload it. Maybe you have some 3GP videos would like to watch, but troubled about this format is rarely supported now. Don't worry, we tested some best 3GP video converter to transform your old videos into files. Besides these classic Christmas songs, hip-hop songs can also become your choice for Christmas playlists. Here we have the list of 20 best hip-hop Christmas songs for your reference. How to convert WMV to MP4? Here are 5 different WMV to MP4 converters for you to convert WMV to MP4 freely and easily.